Understanding human psychology can help students unlock the mysteries of their own minds and behaviors – or prepare for careers as therapists, counselors, social workers and teachers. Anoka-Ramsey’s Psychology Department allows students to experience a variety of psychology disciplines. A new Bachelor of Arts (BA) degree in Psychology is now available at the Anoka-Ramsey. Four-Year Psychology Degree at Anoka-Ramsey! New! Students can now earn a Bachelor of Arts (BA) degree in Psychology on the Anoka-Ramsey campus, through our partnership with Concordia University. “I had absolutely no idea what I wanted to do with my life until I started taking Journalism classes at Anoka-Ramsey and writing for the school paper. 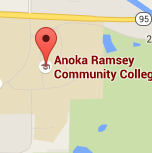 The school’s slogan at the time was, “Anoka-Ramsey: It’s a Great Place to Start.” I still truly believe that. I excelled in the Journalism and English classes and that gave me the confidence to stay in school and on the right path. 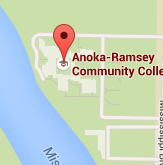 Without the start I received Anoka-Ramsey, I probably would not have finished college. And, with the job market the way it is, a college degree is more important than ever."